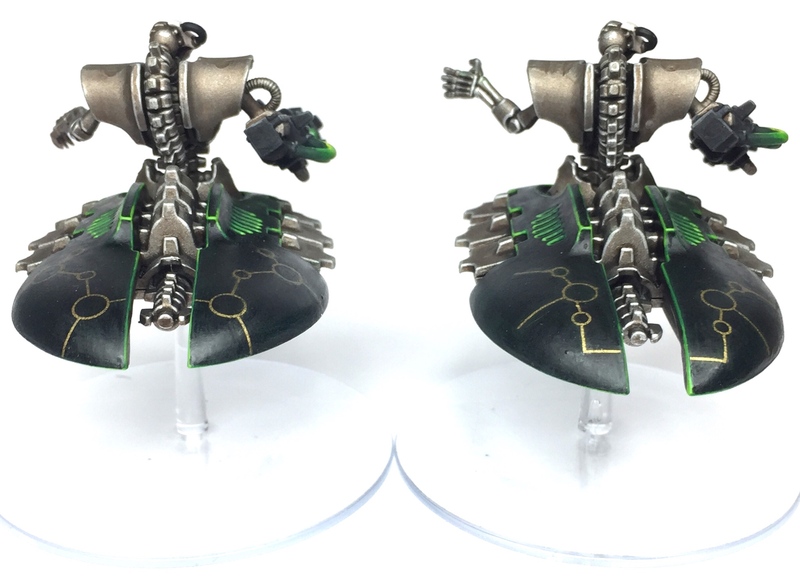 So with my Sisters of Battle getting some much needed reinforcements last week I decided that it was time to provide the ancient forces of the Necrontyr with some heavy support in preparation for my refight of 1997's ‘Massacre at Sanctuary 101'. 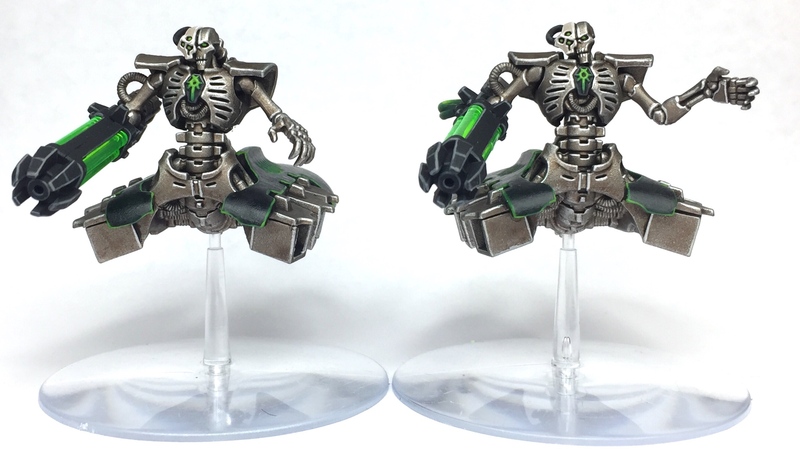 I've always loved the floating horrors that are Necron Destroyers, so I decided to finally crack on and Male some of these lethal robots for my growing force. 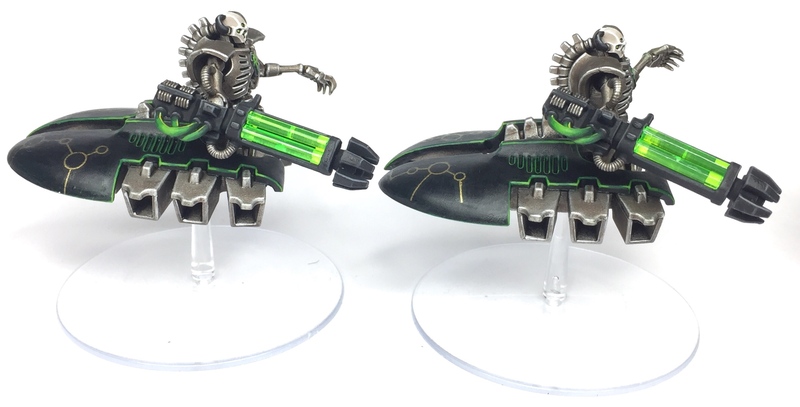 Overall I am really, really pleased with how these guys have turned out, I think they look suitably menacing and deadly…. which fits the scenario perfectly. 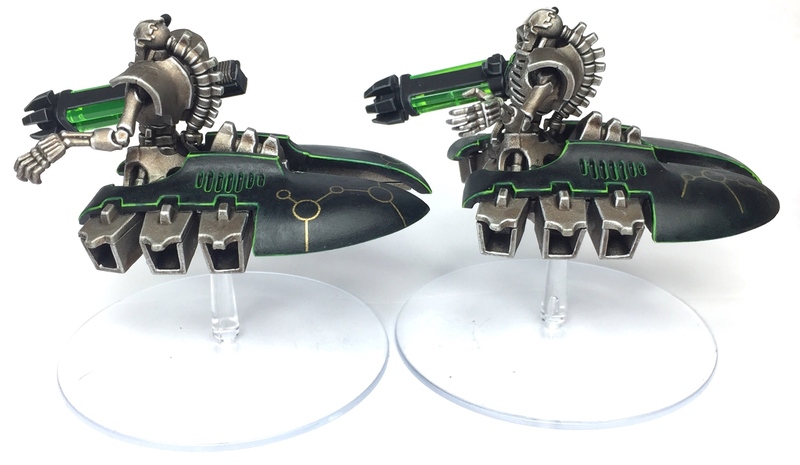 I can't wait to get them on the table and see how they perform. "I decided to finally crack on and Male some of these lethal robots for my growing force." I am very glad you opted to assemble them as per the box instructions.